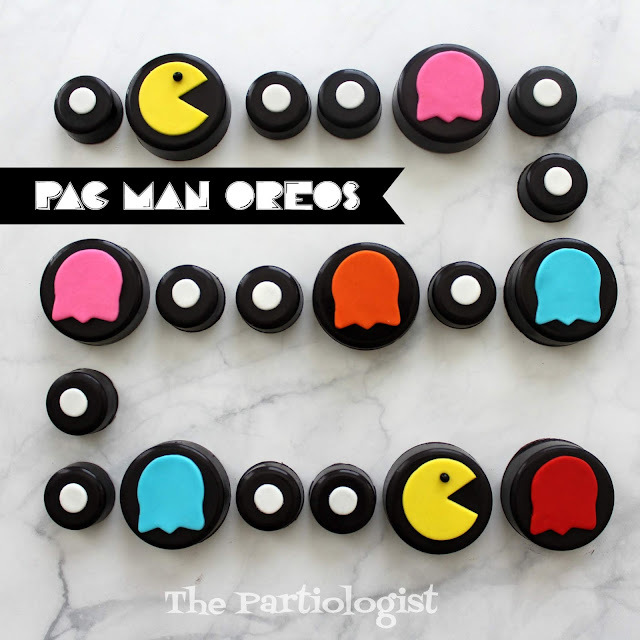 The Partiologist: Pac Man Oreo's! 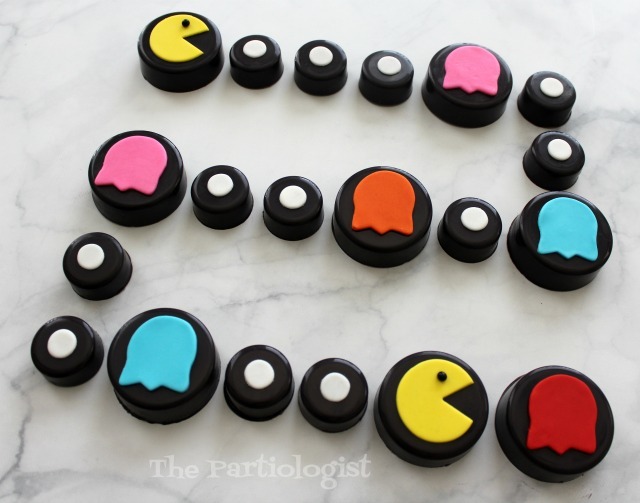 If you haven't found the Pac Man game you want to make and eat, today could be your day. 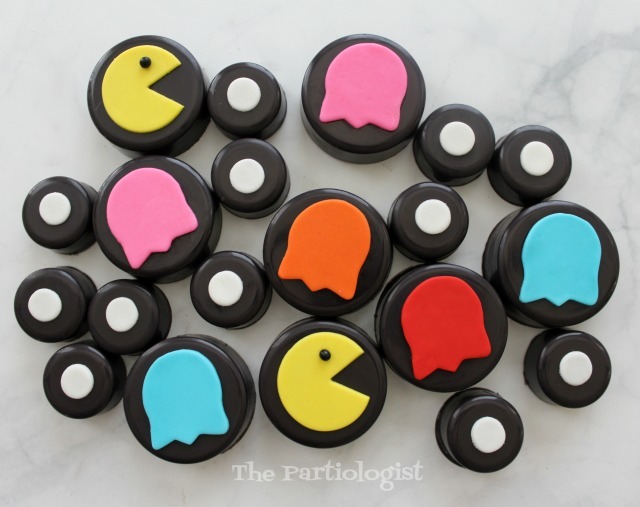 It's the latest Pac Man themed treat for the 80's themed party. You were waiting for these, weren't you? Just another way to play the favorite 80's game. Or just group them together and eat! Pretty simple to make, just in case you're wondering. Because I have both size cookie molds! 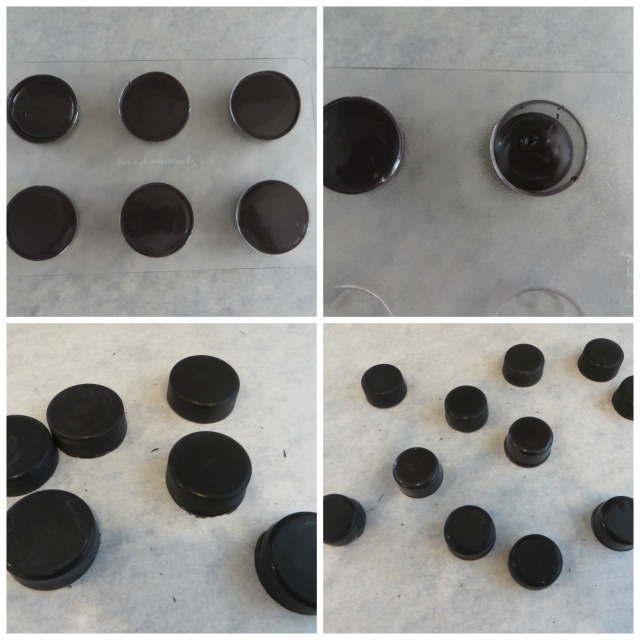 Melt black candy melts and fill the cavities with the chocolate and insert an Oreo. 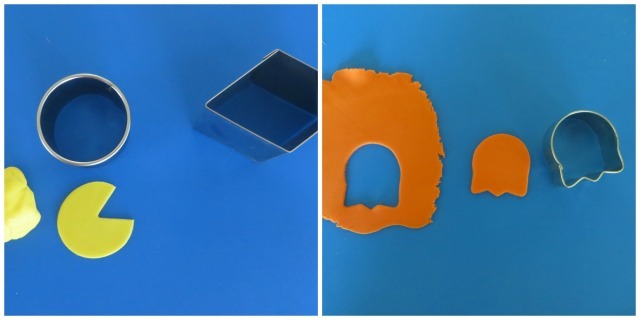 Next I cut the Pac Man shape using a round and diamond cookie cutter. I cut the ghost using a tulip cutter and turned it upside down. 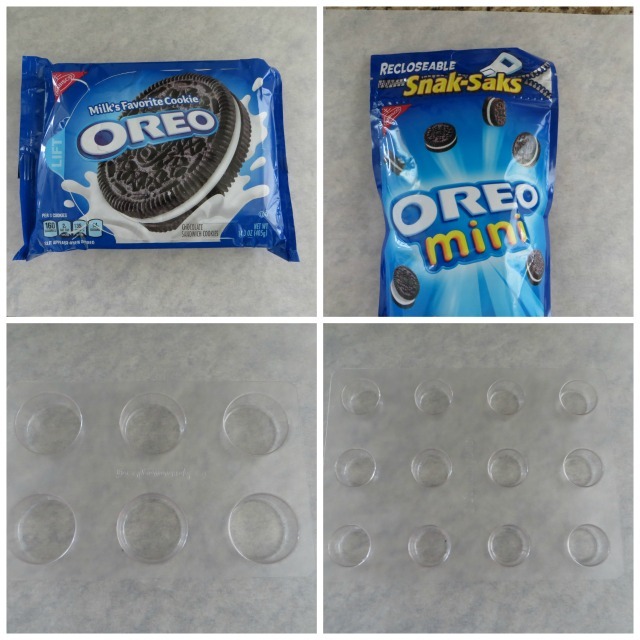 I also cut small round circles to add to the smaller Oreo's. Lay them out for the game to begin. I can't decide with PacMan treats I like best! They are all so much fun.